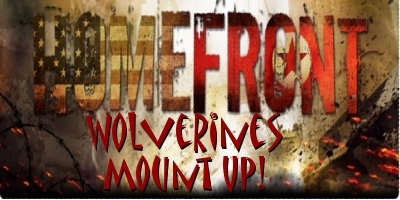 Contest for Wolverine Platoon Banner! And that only took me 2 minutes tops lol. So im putting this into the hands of the real graphics artists here. 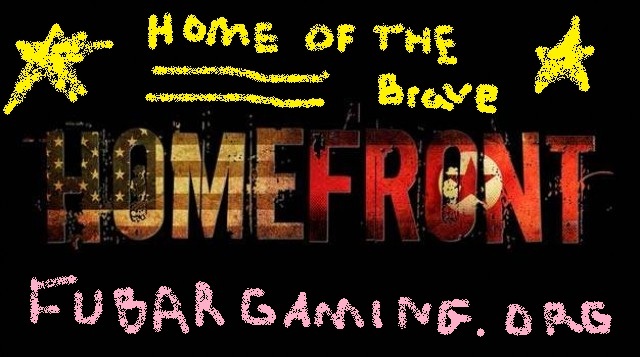 What i want is our clan logo, or the name of the website, and something to do with homefront. whither it be the warzone look of an occupied america, but you get the picture. It also has to be of reasonable size, not too small, not too big. And should follow a theme of some kind. Im interested in seeing what you all can come up with. thanks. and ill give it till sunday to see if we have any takers. Re: Contest for Wolverine Platoon Banner! Okay here is one I put together real quick, I'll probably work a bit more on them. Anyways there is 2 version so far one says join for recruiting purposes and the other just for someone's sig I guess lol I can also add your name if youd like. Think we should ban Burger from these things, it's just not fair anymore.